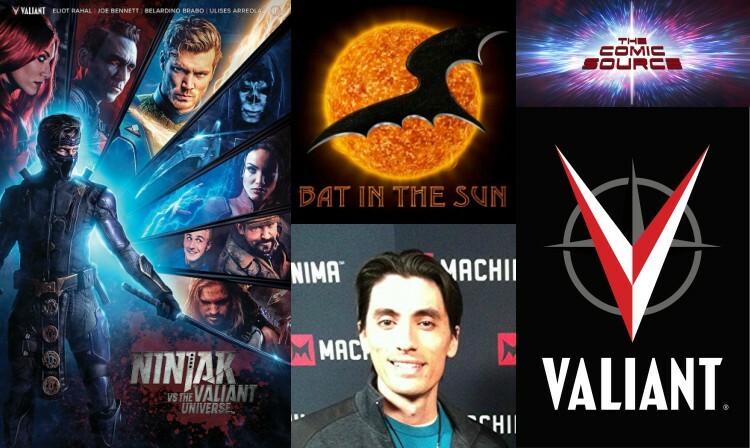 Aaron Schoenke from Bat in the Sun joins us to talk about working with Valiant to bring their characters to life. Give us some quick background on Bat in the Sun, what is it all about and how did it start? How did the project with Valiant come about? Can you give tell us briefly what the story is about overall? What were some of the biggest challenges that you faced during this project? Did the recent changes in personal at Valiant affect you at all? Was or is there anything about the project you wish you could’ve gone bigger with? A stunt or a special effect? How will you judge the success of this project? Views? Word of mouth? Fan reaction? How do you feel overall now that the project is finished and so close to a wider release? Where can fans go to view the series? What’s the best way to keep up to date with all Bat in the Sun projects?